Both SEO and PPC have their advantages and disadvantages for content marketers. 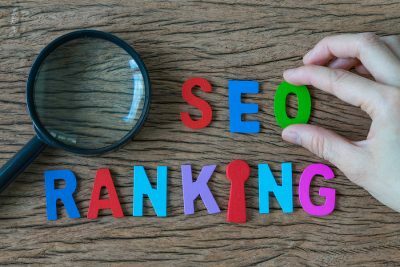 While SEO costs less and is more sustainable, it’s much more challenging to attract traffic and to keep up with the content demand. And while PPC helps accurately target the right audience and positions you prominently in search results, you might have to make a larger investment and also compete with other advertisers in a bidding war. So, if you want to drive more sales, it’s crucial that you integrate the two instead of running separate campaigns at varying intervals. By doing this, content marketers can effectively boost their brand’s visibility, which will increase traffic. Higher traffic coming to your website means a better chance for you to drive conversions. Plus, combining your SEO and PPC efforts can help you cut costs significantly. In fact, a case study by Adept found that an integrated SEO and PPC campaign for a B2B marketer increased organic sessions by 55%. The marketer also experience a 48% increase in revenue, achieving 223% ROI on their paid search campaign. So how exactly will you integrate SEO and PPC to boost your sales? During the initial stages of your PPC campaign, you’ll likely experiment with broad match modified keywords to ensure that your ad shows up in any search containing your target keywords. 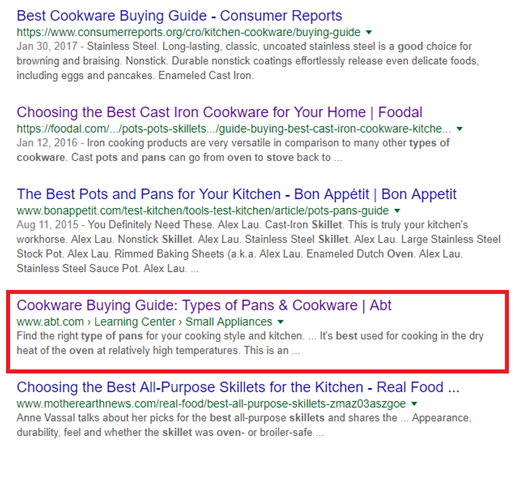 For example, using “+oven +safe +skillets” will display your ad in all the searches that contain the two keywords in any order. By taking a closer look at what search terms people are using when they click on your ads, you can gain useful information about user intent. 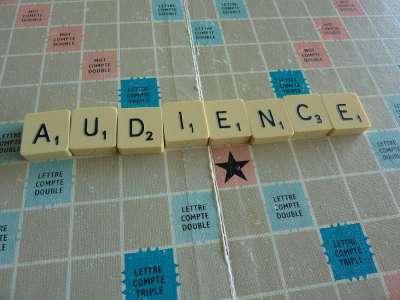 In other words, you can clearly understand what the relevant target audience is looking for. You’ll then be able to use this data to optimize your content marketing strategy. Collect the top-converting longtail keywords from your PPC campaign and then use it to optimize organic content. This will not only help you rank organically for the relevant keywords, but also attract the relevant audience by providing them with the information they need. For example, let’s say that a lot of people who click on your ad for cast iron skillets had searched for “best types of skillets for oven”. In this case, you might want to publish a piece of content that will guide shoppers to choose the best types of skillets based on their cooking requirement. If the content is valuable enough, it could attract plenty of potential customers who are in the market for cookware. 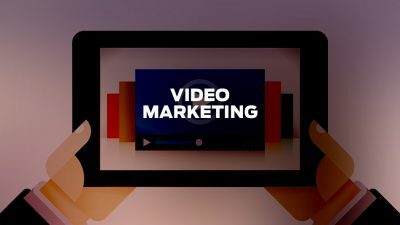 Plus, this could prove to be a huge advantage for you, as many of your competitors may not be publishing this type of educational content yet. 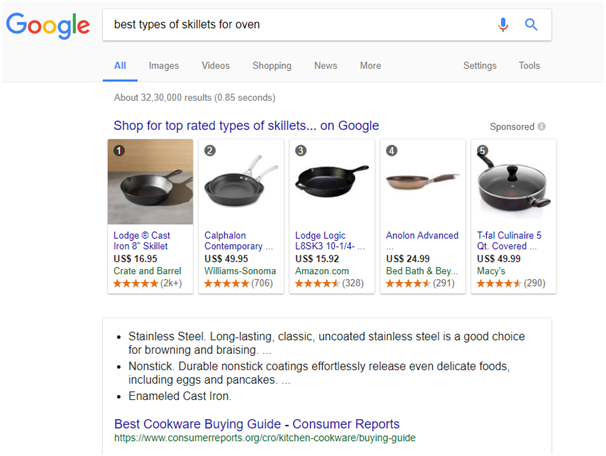 Even in the screenshot below, which showcases the top organic results for “best types of skillets for oven,” Abt is the only ecommerce retailer that comes up. The rest are blogs and publications related to food and cooking. Click fraud is a major issue that you need to tackle if you want to drive more sales through an integrated SEO and PPC campaign. Unfortunately, the number of fraudulent clicks is growing. 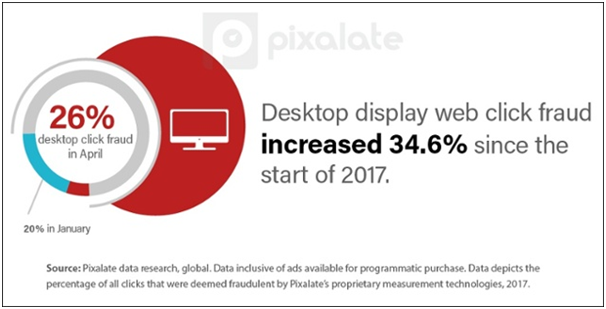 Pixalate reports that one out of five desktop clicks was fraudulent during January 2017. But now that number is rising. And by the end of 2017, the number of fraudulent desktop clicks may be around one out of three. If you fail to address click fraud issues, you could end up losing thousands of dollars in advertising, and lose out on hundreds of potential sales. When running PPC campaigns, content marketers need to get maximum returns on minimum ad spend. This means you need to ensure that a majority of the people who click on your ads end up making a purchase. But when you’re a victim of click fraud, you’ll mostly get bots or people with malicious intent clicking on your ads. This means there’s really no opportunity for you to make a sale through those clicks. But you’ll still be paying hundreds of dollars to get those clicks. Sometimes, your competitors could be behind all the click fraud you’re experiencing. The worst part is that click fraud doesn’t only affect your PPC campaign; it can also have an impact on your organic search ranking. That’s because it affects your dwell time, which is the average amount of time people spend on your website after clicking on a link. Since all the clicks resulting from click fraud are either bots or people who just ruin your advertising campaign, there’s a good chance none of them will spend a long time on your site. This means there will be low dwell time, and high bounce rates despite a high CTR. And according to Larry Kim, pages with low dwell time could lose their organic rankings. Additionally, it’s starting to appear that metrics like time on site, pages per session, and bounce rate are becoming important factors that affect a website’s ranking on Google. In addition to bringing in irrelevant, non-converting traffic to your site, click fraud can potentially ruin your chances of attracting relevant traffic by dragging your rankings down. This makes it absolutely necessary to focus on your click fraud prevention efforts when you’re running a PPC campaign. I have been able to prevent fraudulent clicks by using ClickCease, which detects potential attackers and hides your ad from them so they won’t be able to commit click fraud. The tool helped me display ads to only potential readers while actively monitoring blacklisted IPs and proxy servers, as well as bad hosts. The tool includes automated click fraud prevention that gets activated instantly and hides ads to prevent any further click frauds from occurring. I was also able to help clients get their money back for any fraudulent clicks using the tool, which involves an AdWords refund agent automatically filing a refund report on my behalf. Another feature I liked is the in-built reporting, which gave me a clear idea of exactly where the advertising money is going, and how I can further optimize PPC campaigns for my clients. These are some of the most effective ways for content marketers to integrate their SEO and PPC efforts with a goal to drive more sales. Your integration efforts should be able to help you in attracting only the most relevant potential customers to your site so you can convert them.